Toiletry bag or makeup. 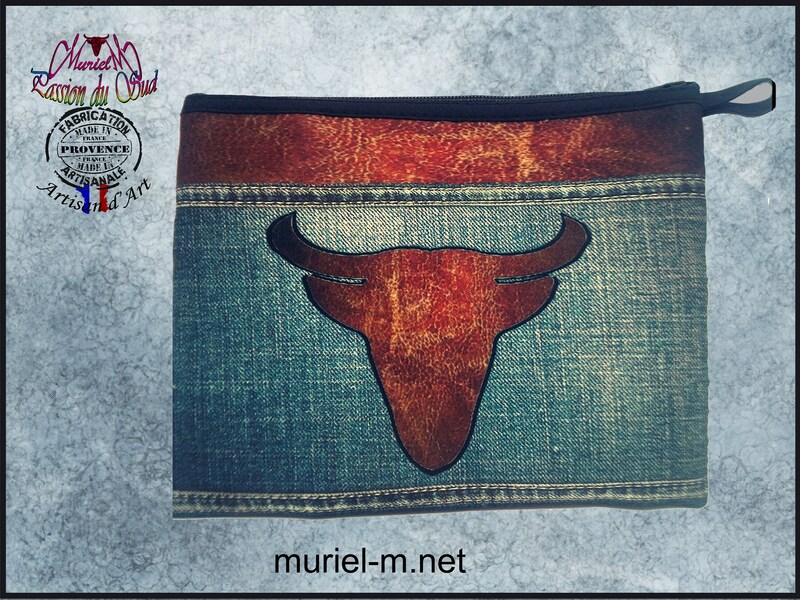 Polyester imitation leather Bull Head pattern and jean fabric. Size: 20 x 15 cm. Closed with zipper. Lined with Black Suede.